If you could travel back in time to the early 1990’s and ask Silicon Valley’s top entrepreneurs and private company executives about their long-term career ambitions, you would hear a constant theme – they all wanted to be part of an Initial Public Offering (IPO). Back then, taking a company public, either as a CEO, CFO, or founder, held an allure similar to that of a young athlete dreaming of making it in the major leagues. Clearly, not everyone was able to go public, but that of course added to appeal. Everyone still wanted to go public. They all dreamed of playing on the business world’s biggest business stage. A great deal has changed since then. First, we lived through the peculiar time now known as the Dot-com bubble, where the elite requirements for going public were greatly reduced. This was followed by a period of heavy regulation where many aspiring startups felt as if they were absorbing the burden of sins committed by the likes of Enron and WorldCom, two companies that are far away from Silicon Valley. If you believe what you read, we now live in a world where young entrepreneurs have a more cynical view of the IPO and being public in general. It is common today to read a phrase like “You don’t have to go public early to provide liquidity to early investors or employees.” It is critical to consider just how far away “don’t have to” is from “want to” or “dream of”. There are many potential causes of this widespread pessimism. First and foremost, going public and being public are not nearly as much fun as they once were. The combination of a rise of ambulance-chaser shareholder lawsuits, Sarbanes-Oxley, the requirement for CEO and CFO signatures on financial filings, and limited personal trading flexibility has unquestionably made being public less enjoyable for executives. Increased bureaucracy and red-tape almost never lead to increased enthusiasm. We may also have a perturbed notion of what a “healthy” IPO market looks like. For many, the go-go days of the late 1990’s stick in their mind as the definition of a strong IPO market. Unfortunately, the IPO market of 1999 was a myth, a façade, a once-in-a-lifetime mirage that you will never see again. While that period was economically fruitful, it was clearly manic and a long, long way from being healthy. Moreover, it was completely and utterly unsustainable. It also may have “cheapened” our view of the IPO. If anyone and everyone can go, it is no longer a heroic accomplishment. One recent argument knocking the IPO is as follows: Wall Street is too short-term focused, and that if you want to run your company for the long-term you should remain private. There are three great reasons that this “can’t focus on the long term” argument falls short — Jeff Bezos, Marc Benioff, and Reed Hastings. All three of these amazing entrepreneurs turned CEOs took their company public on a standard IPO time frame. They also all three conveyed to Wall Street that they would postpone short-term earnings results in order to chase a greater long-term objectives and ambitions. The intelligent mutual fund investors that were swayed by their convincing arguments (there were many) were handsomely rewarded. Furthermore, Bezos, Benioff, and Hastings all three used “being public” as a bully-pulpit to tell their version of their industry’s story, thereby aiding their advantage. If you are unconvinced go ask Steve Riggio, Tom Siebel, or Blockbuster CEO Jim Keyes. Certainly one contributor to the negativity surrounding the Silicon Valley view of the IPO market is the negative perception of the local press echoing off the hillsides of the Santa Cruz mountain peaks. Over the past several years, it has become quite common to read Silicon Valley articles and blog-post offering near-eulogies of the high-tech IPO. TechCrunch refers not to simply the “IPO” but to the “dreaded IPO,” or the “Poor, Pilloried, Tech IPO.” Famed early stage investor and typically glass-half-full blogger Fred Wilson recently penned “IPOs Just Aren’t What They Used To Be.” The San Francisco Chronicle stated that the “market for initial public offerings remains badly broken,” and the ecosystem “..has been destroyed.” And despite the numerous successful IPOs in the last two years that have supposedly put an “end to the IPO drought,” the only thing that doesn’t seem to go away is the use of the phrase “IPO drought.” If that were not enough, the NVCA (National Venture Capital Association) argues the situation is so dire that we need a Four Pillar Plan To Restore Liquidity. 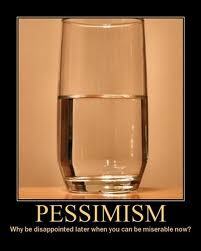 The pessimism is consistent and deafening. The glass isn’t simply half-empty; everyone seems to think there is a hole in the bottom of it. Venture-backed company exit activity showed continued momentum during the second quarter of 2010, with the best quarterly total for venture-backed Initial Public Offerings (IPOs) since the fourth quarter of 2007, according to the Exit Poll report by Thomson Reuters and the National Venture Capital Association (NVCA). The quarter ended with 17 venture-backed IPOs, marking the third consecutive quarter for increased offerings, by number and by dollar amount. The Excel spreadsheet embedded above contains a detailed look at all of the high-tech VC backed U.S. IPOs since the beginning of 2008. There is some very surprising data in this table. First, these IPOs have performed relatively well since their initial offering. On average, these IPOs have averaged 55.9% in price appreciation since their IPO date. This represents almost $14B of post IPO value creation as a group. Moreover, 19 of the 42 companies are worth over $1B. A full nineteen VC-backed companies with recent IPOs are now worth over $1b! The press that keeps yearning for the next “big” IPO in Silicon Valley and complaining about the health of the IPO market, doesn’t spend much time talking about RackSpace ($3.3B market cap), RealPage ($1.8B market cap), GreenDot ($2.2B), or Ancestry ($1.1B) – all recent IPOs that have traded up quite nicely since they went public. Maybe there is a reason for this. Is there any chance that the negative IPO sentiment that is reverberating through Silicon Valley is actually having an impact on the local IPO volume? One might expect, that as the epicenter of innovation, Silicon Valley would warrant more than its fair share of IPOs. But the data shows the exact opposite (see table below). In this same spreadsheet of recent IPOs, we have highlighted whether each company has its headquarters here in Silicon Valley or elsewhere in the United States. The shocking reality is that only 11 of the 42 high-tech, venture backed IPOs since 2008 reside in Silicon Valley. In other words, 74% of these IPOs hail from outside of the SV echo chamber. If you look at the data in terms of initial IPO value, 78% of the overall value is from outside SV. In terms of value today its 73.5% (SV IPOS have outperformed those outside SV). Perhaps these out-of-market IPOs aren’t well covered within Silicon Valley, and perhaps the negative IPO sentiment isn’t well heard outside of it. Our pessimism may have led to a self-fulfilling prophecy. There is an interesting commentary at the end of the San Francisco Chronicle article that we previously discussed. “Brent Gledhill, with William Blair & Co., a small investment bank in Chicago, said he has buyers for small IPOs, but can’t get sellers.” This argument, which was also supported by Paul Deninger of Jefferies, suggests that we have a “supply” problem, not a demand problem. He has BUYERS but not SELLERS. The problem is not that Wall Street doesn’t want product, it is the opposite; that we are not offering them enough of it. While it is clearly a chicken-egg argument, you simply cannot have a healthy IPO market if the leading high-quality companies are unwilling to file. The problem may be attitudinal, not structural. To this point, and perhaps ironically to some, most of the people I know that work in high tech mutual funds and hedge funds would like to see more IPOs not less. They are tired of trading the same large technology names that are showing limited equity returns over the past 10 years, and have very low growth opportunities/ambitions. If you look at the the forward revenue growth estimates for technology bellwether stocks you may be surprised: Intel (3.5%), HP (5.6%), Microsoft (6.8%), Cisco (11.1%),Ebay (11.4%), and Yahoo (3.3%). And many of these stocks are flat to down for the past decade! Even Google, the youngest of the large cap tech plays has a go forward growth estimate of below 20%. As you can imagine, these traditional “must have” technology names are not contributing to mutual fund outperformance the way they once did. Fund managers desperately need more exposure to growth. They also crave exposure to new trends like social networking and mobile computing, but with limited IPOs they have limited ways to invest in these new innovative trends. They simply need more “quality” product. As a result of this scarcity of growth across the broader set of public companies, strong category leaders like OpenTable, GreenDot, Realpage and Ancestry.com are seeing healthy valuations in the public market. These high growth Internet leaders trade at PE multiples (30-50x) that are roughly twice that of Internet leaders Microsoft, Yahoo, Ebay, and even Google. The IPO market is currently paying a substantial premium over the M&A market (the exact opposite of what you read). The same large companies that are struggling to find growth have reduced valuation multiples (P/E, P/S). This in turn makes it hard for them to pay strategically high prices in an acquisition. Therefore, entrepreneurs that follow the advice from the San Francisco Chronicle, and are “looking to be acquired” may be leaving ample money on the table. As an example, drill down on RealPage, a Dallas based leader in SAAS solutions for property management companies. It is currently trading at $1.86B after a successful August IPO. They currently trade at about 8.7X annualized Q2 revenue. Which potential acquirer would pay this valuation for a private vertical industry specific SAAS play? Do you think Salesforce, who has never done a large acquisition, would? Do you think Oracle (who trades at 3.5x sales would)? What about SAP (3.8X sales)? IBM (1.7x sales)? Or consider GreenDot which went public in July and currently trades at a $2.2B market capitalization. This valuation equates to roughly 6 times 2010 revenues. Do you think American Express (currently trades at 2X revenues) would have offered that in a private transaction? What about Ancestry.com? This recent Internet IPO is currently trading at a market capitalization of $1.17B. 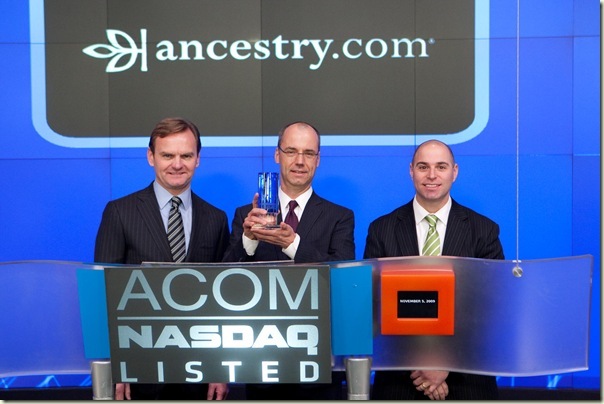 Which large Internet company would have paid close to $1B for Ancestry? None is my answer. 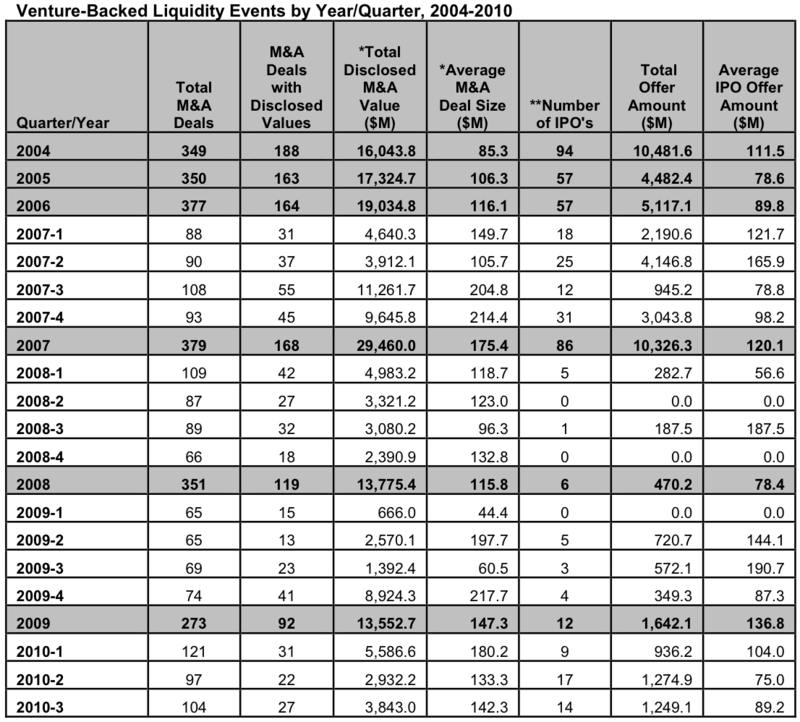 We should also consider DataDomain, 3Par, and Arcsight, all companies with remarkable sell-side M&A transactions who went public BEFORE engaging in an M&A transaction. Being public is a wonderful way to establish a baseline valuation in an eventual corporate sale. There is no chance someone would make an offer at or below the current market price, as the expectation is to pay a market premium. And because the BOD has a very high duty in terms of maximizing shareholder value, these deals are often seen by multiple bidders and therefore more likely to be competitive than a private transaction. Lastly, and not to be ignored, public company sales have zero escrow provisions. These escrows typically put at risk 10-15% of the transaction value when a private company is acquired. Being public before you get acquired can be extremely valuable. A large contributor to the negative IPO press is Facebook’s definitive view that it prefers to postpone its IPO well into the future. Recent comments suggest an IPO may be put off until 2012. As a top three worldwide Internet site, the press is obviously interested in what Facebook wants to do. Also, because of its huge impact, and the emerging trend of social networking, the buy-side is quite interested in owning Facebook. The demand for an IPO, were one to happen, would be enormous. And that is probably an understatement. However, it is critical to put this in perspective relative to everyone else. Facebook is the exception not the rule. They can do what they want when they want. They can raise money privately at any time if they feel the need to do a cash acquisition. There are literally firms willing to wait in line to give them money. They can hold a press events and everyone comes, so they certainly do not need to be public to broadcast their message. However, they are also a miserable proxy for the average private company CEO and BOD to consider. 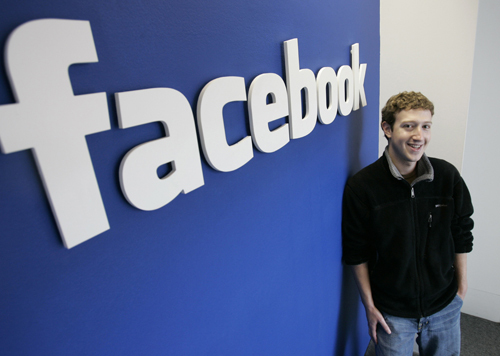 Your company is not like Facebook, and it should not build its IPO plans based on what Facebook does or does not do. This entire problem may be self-correcting. The BOD and executives from the companies that have not gone public have certainly noticed the successful offerings, post-market performance, and valuations of the IPOs mentioned herein. As such many of these executives are now marshalling the forces for their own IPO. As an example, Betfair, a long awaited IPO in the UK (congrats @jdh) just went public and had strong results. Skype and ZipCar have filed, and all indications are that LinkedIn is working on its own filing. There is also a good chance that companies like AutoTrader and eHarmony will come public soon, and there have been multiple rumors of IPOs at companies such as Hulu and Pandora. 10/24 Can the Top 12 IPOs of 2010 Go Any Higher? I recently had the opportunity to hear the story of how Tim Sullivan, the former leader of Match.com, went into Ancestry.com five years ago as CEO. At the time, the company’s growth had slowed and many had assumed it had seen its better days. Tim and his team and began a multi-year turn-around that would eventually lead to last year’s respectable IPO. Last week, the company completed a successful secondary offering. Tim shared with me all of the amazing work that went into reigniting this market leader (a very impressive story), but I was most surprised when he talked about the IPO process. His face broke out into this huge grin as he described watching the stock trade that first day. You could clearly see the type of IPO enthusiasm that once reigned supreme in Silicon Valley. For Tim, the dream was still alive, and more importantly he was able to turn his dream into reality. 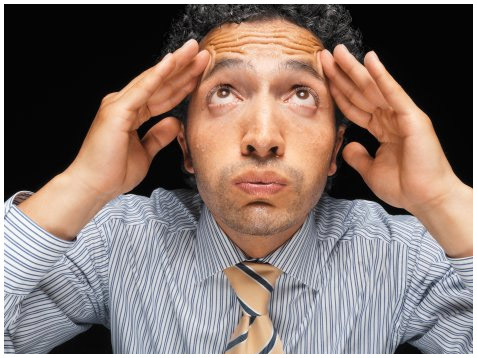 Waves of pessimistic analysis can become self-reinforcing and began to influence rather than just inform. That appears to be the case with respect to local attitudes towards high-tech IPOs. Next time you hear someone talking about how broken the IPO market is, please let him or her know that despite what you read, many great companies are going public and are having remarkable success. And if they still doubt you, tell them reach out to Steven Streit at GreenDot, Zorik Gordon at ReachLocal, Doug Valenti at QuinStreet, or any of the 38 other CEOs who recently stood up and walked through the door that everyone else says isn’t open. Their story should be at least as compelling as focusing on the few companies that don’t seem all that interested.